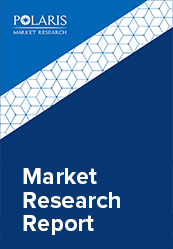 The global industrial microwave heating market was valued at USD 955.8 million in 2017 and is anticipated to grow at a CAGR of 6% during the forecast period. Microwave heating is used to generate heat within a material and continue heating the entire volume at the same rate. Use of microwave in industrial applications offers increased production speeds and decreased production costs by generation of higher power densities. Microwave energy can be controlled with precision and has the ability to be turned on and off instantly, thereby eliminating the need for warm-up and cool-down. Industrial microwave heating is used in various applications such as drying and sterilizing, rubber curing, foaming plastic materials, drying coated paper and synthetic paper, and polymerization among others. The increasing applications of industrial heating equipment in industries such as food and beverages, and chemical along with global industrial growth drive the Industrial Microwave Heating market. Industrial microwave heating equipment is used in various industries such as plastic, paper, pharmaceutical, wood, and chemical among others, and growth in these industries worldwide is expected to supplement the growth of the market. Other factors driving the market include reduced maintenance costs, higher operating efficiency, and low power consumption. The increasing awareness regarding use of energy efficient heating equipment and government regulations regarding green technology is expected to support market growth during the forecast period. However, increases prices of electricity and power supply hamper the growth of the Industrial Microwave Heating market. Growing demand from emerging economies, and technological advancements are factors expected to provide numerous growth opportunities in the Industrial Microwave Heating Market during the forecast period. The global industrial microwave heating market is segmented on the basis of equipment, application, and region. Based on equipment, the market is segmented into RF Solid State Amplifiers, and Magnetron. The application segment is divided into pharmaceutical, plastic, chemical, paper, food and beverages, and others. This industrial microwave heating market comprises a detailed geographic distribution of the market across North America, Europe, APAC, Latin America, and MEA. North America is further segmented into U.S., Canada, and Mexico. Europe is divided into Germany, UK, Italy, France, and Rest of Europe. Asia-Pacific is bifurcated into China, India, Japan, and Rest of Asia-Pacific. Europe accounted for the largest share in the global Industrial Microwave Heating market in 2017. The leading players in the Industrial Microwave Heating Market include Hitachi Power Solutions Co., Ltd., Muegge GmbH, Teledyne e2v Limited, Industrial Microwave Systems Ltd., CoberMuegge LLC, Communications & Power Industries LLC (CPI), L3 Technologies, Inc., Richardson Electronics, Ltd., MDP Components, STT International Limited, Panasonic Corporation, and Toshiba International Corporation among others. The leading players in the market are introducing new innovative products in the market to cater to the growing consumer demands. Global players are entering new markets in developing regions to expand their customer base and strengthen market presence.